cover your pan and refrigerate overnight. in a bowl (second largest bowl [my own notes]), combine cornmeal, flour, sugar, baking powder, and salt. add the oil, butter, honey, eggs, and milk. pour into a greased 9×13 pan (if using 8×8 square pan, halve recipe). bake for 45 minutes and check to see if baked through using a toothpick. beat together egg, milk, salt, desired spices, and vanilla. 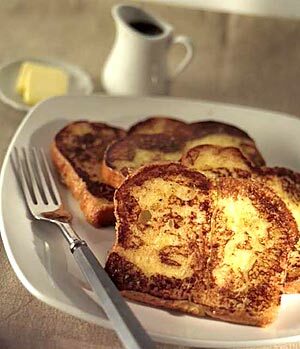 dunk each slice of bread in egg mixture, soaking both sides. place in pan and cook on both sides until golden. serve hot.